Several weeks ago the Homily at Church was about forgiveness. Since then, I have been ruminating on this concept and the more I think about it, the more confusing I find it. Now, don’t get me wrong. I am all about forgiveness. I believe the longer one holds on to the hate and resentment the more they damage themselves. Eventually it will burn a hole all the way through to your soul and it could become almost impossible to repair. But, that is not what confuses me. That part I understand. I don’t understand the concept of forgetting. How do you make yourself forget something? I can forgive you for what you have done to me, but I cannot forget what you have done to me. I may no longer hold a grudge for your actions, but I still remember your actions. Admittedly, it would be much easier to forgive if you could forget. How often do you recall something that someone has done to you and find yourself getting mad all over again? That wouldn’t happen if you could simply forget about it. But, then it gets more confusing. 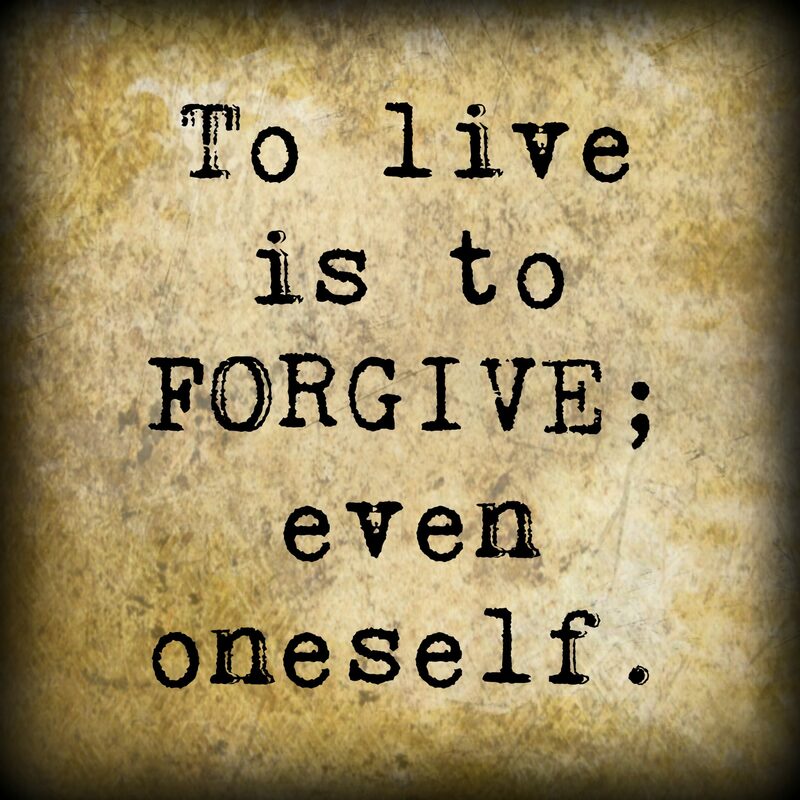 If you forget, without forgiving, have you forgiven? Did you truly forgive the injustice if you have forgotten it happened in the first place? Or must one feel forgiveness in their heart before the memory of the incident is lost? On the other hand, maybe it might be easier to forget if forgiveness is rendered. I wonder how many times I should have forgiven but have not because I have forgotten. How many times have I done something to another that needs to be forgiving but wasn’t because they have forgotten? It seems as if I haven’t worked this out at all. I need to know how other people deal with this concept. In the meantime, I have decided to forgive every trespass against me, whether forgotten or not. And I hope that anyone I have hurt will for vie me, whether they have forgotten or not. I forgive you, please forgive me! You know who you are.